I am a HUGE cheese lover and have thought on numerous occasions how awesome it would be to make some on my own. When I started browsing the internet for instructions, I found that different cheeses have different levels of difficulty to make. Blue Cheese is one of my favorites, but since it is one of the more difficult cheeses, it's going to have to wait a bit. I decided to just get my feet wet with the first batch of cheese I made - something simple that had little margin for error. 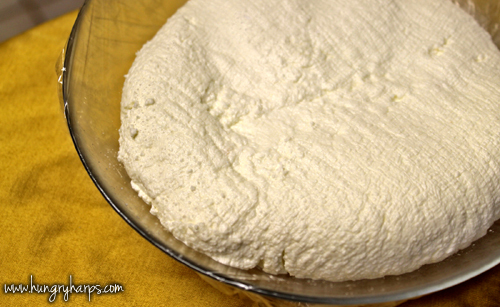 It seems I found exactly what I was looking for in this Quick Ricotta Cheese! Just to clarify, when I say quick, it means roughly 3 hours... which is pretty quick when it comes to cheese. There are several different recipes online, all deeming great results, so I played around to create my own and was amazed at what was created. 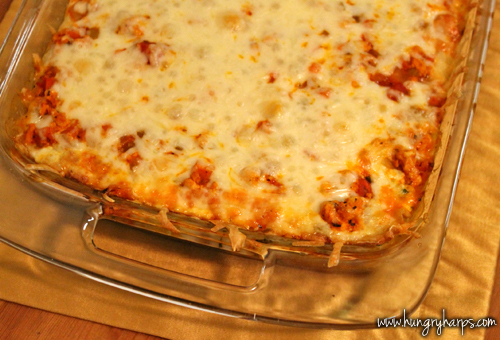 :) This recipe is very easy to make and very rewarding when finished... so without further ado, let me share it with you! 1. 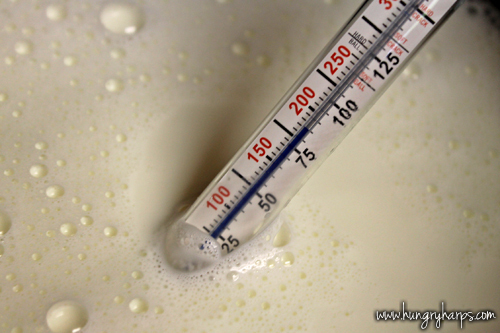 In a stockpot, heat 8 cups of Milk (I used whole milk) mixed with 1 cup of Heavy Cream to 170. Make sure to stir occasionally to avoid any burning. 2. Remove from heat and add 3 tablespoons Vinegar, stir for 30 seconds. Then add 1 teaspoon Salt, stir for an additional 30 seconds. 3. 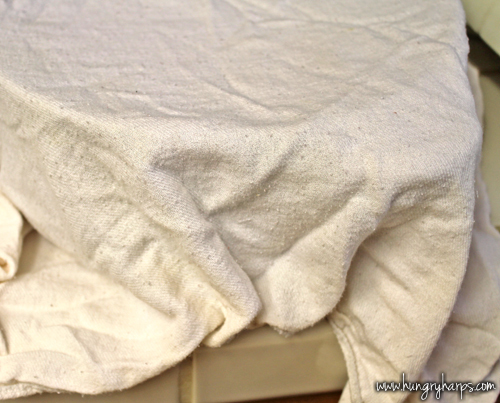 Cover with clean towel and let sit for 2 hours. 4. 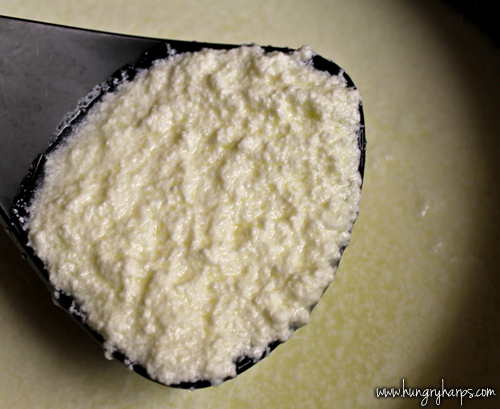 After said 2 hours, remove towel and admire those curds. 5. 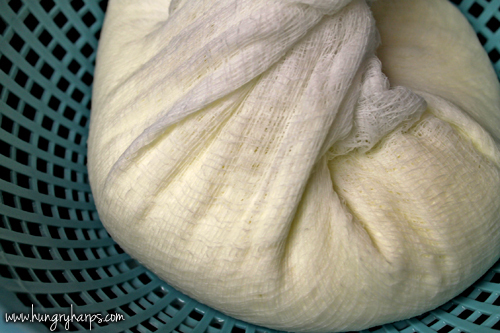 Using cheesecloth in a colander, strain curds from whey. 6. Let drain as much as possible, squeezing periodically to help the process along. I took about 20 minutes for this step. 7. 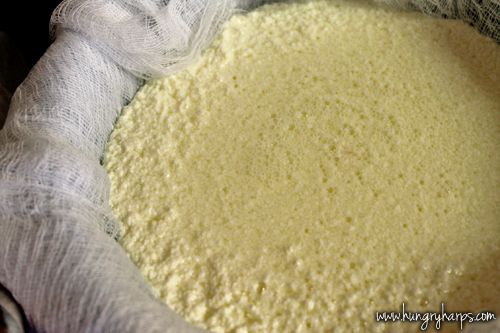 Transfer cheese to clean bowl and either start using it right then, or use an airtight cover and refrigerate for a couple hours to chill. 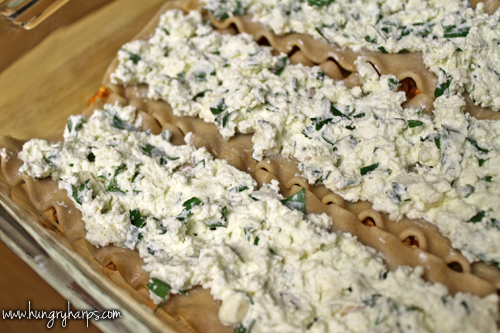 I ended up letting mine chill for a couple hours and then mixing it with fresh herbs and blue cheese for a lasagna I was making that night. It turned out wonderful! One step closer to making "from scratch" lasagna!! Check out one of the cups that is being offered right now as part of Got Milk? 's campaign, 'Science of Imitation Milk', which is aimed at educating California consumers on the differences between imitation and natural milk. Cute huh? I love the retro look!! They come in a set of two for $15 and 100% of the purchases will go towards THINK Together, the Bay Area Community Resources and the Central Valley Afterschool Foundation. 100%!! All 3 organizations are community-based organizations in Calfiornia that promote educating families on making wholesome food choices for a healthy lifestyle. 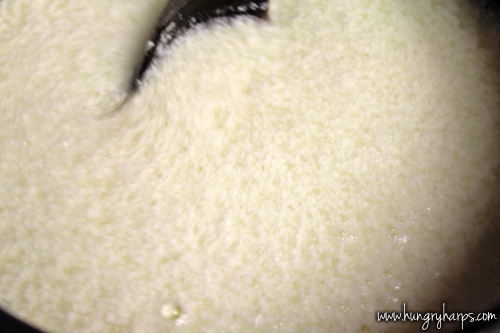 I've always wanted to make ricotta at home! I'm just so impatient sometimes =) Gonna have to slow down a bit and do this soon! That looks delicious! 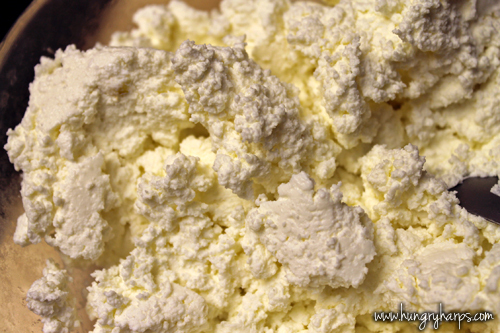 I love ricotta cheese but don't cook with it very often. 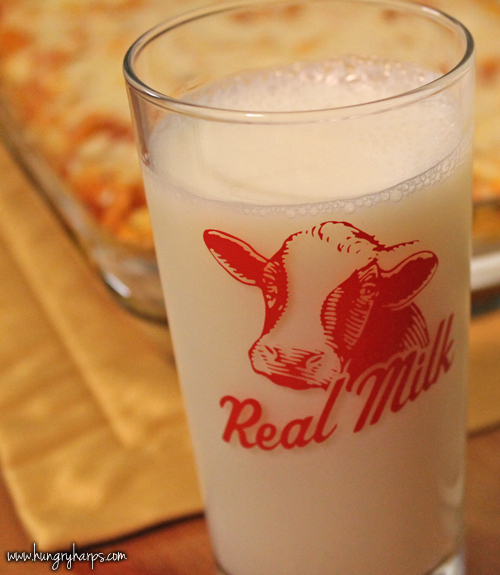 I will have to make some lasagna soon. Looks like you know what you are doing... go for the Bleu!!! !